Having started out as high school friends in a bayside suburb of Melbourne, Australia, the Lucksmiths trio were officially set on foot in 1993 and made short work of winning the hearts and livers of student share-houses the city over. Sixteen years and countless albums, world tours and one extra member later, the band called it a day. By this time, their reputation as one of the most influential indiepop acts of the past decade was assured. Featuring live favourites 'Under the Rotunda,' 'T-Shirt Weather' and 'Sunlight in a Jar' (and with the entire tracklist chosen by the band members themselves, of course! 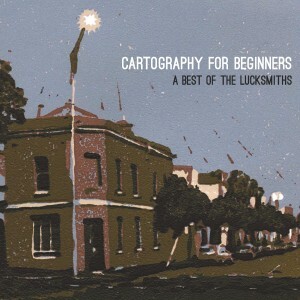 ), ‘Cartography For Beginners’ is the final word in Lucksmiths mix tapes—the perfect jangly travel companion, the ideal soundtrack to a first kiss (in the rain), and certainly the mantle ornament of choice for any inner city share-house. Available in a handsome six panel matte finish eco-wallet with vintage photographs and liner notes by Australian labelmate and frequent touring companion Darren Hanlon.